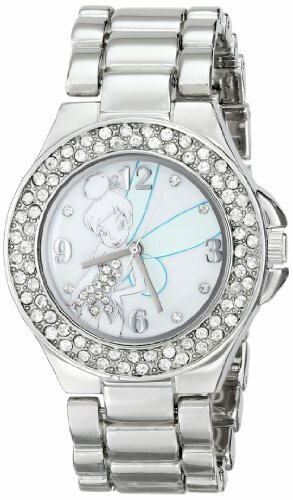 Know someone who loves Tink, the cute little winged imp from Peter Pan? Here's a guide to a great range of items which are suitable for children, adults, collectors and anyone who needs a sprinkling of that fun and magical pixie dust sent their way. I love the pretty keepsakes shown here which can be enjoyed and gifted to fans of all ages. There are products to really suit and match up with every budget on this page, from inexpensive activity books for girls right up to those precious, keepsake collectible items as well. 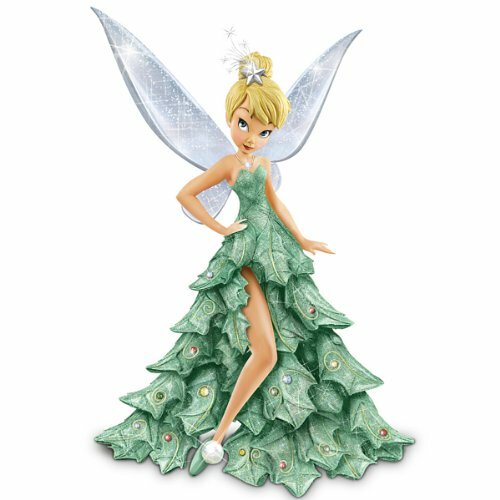 Figurines of this fairy figure make perfect keepsakes for children or collectibles for adult fans. There are some wonderful figurines of this pixie available. My personal favorites are the ones made by Lenox which are just stunning pieces. I adore this Magical Garden by Lenox which features a sitting Tink who is under a floral arbor. The pastel shaded flowers are so delicate and they are decorated with crystal gems that sparkle in the center of each one. This piece is crafted from ivory fine china and is accented with 24 karat gold just to make it even more special. Another great, and more affordable, choice is the small and pretty snowglobe. It features a very decorative base, and she is sitting in the globe amidst some sheer glitter. Stop by and visit my special Tinkerbell Snowglobe page if you love the idea of a Snowglobe or Waterball figurine. Fancy having a fairy in your garden? Then look for something which will delight any gardening or outdoor fan with a wonderful garden statue. There is one where she is kneeling on a pretty mushroom which is surrounded by smaller, pastel colored mushrooms and flowers. The statue is approx 7 by 12 inches so not huge but big enough to attract attention and look ever so pretty in a flower filled garden. The Pullip Dal doll is a limited edition, large eyed collectible and fashionable doll. This is a luxury figure and one that would suit older children who will treat it with care or a collector who will cherish it and perhaps keep it for display and occasional play. This fairy is 10 inches high and has fully jointed arms and legs so she can be placed in a wide variety of poses. Out of all the dolls there are, this one really captures the true nature of Tink. This doll does indeed have a slightly grumpy face and this is entirely true to this Disney fairy's slightly volatile character - she definitely isn't a happy and perfect pixie all the time. She has insecurities like anyone else and gets jealous and cross as much as she's happy. Underneath are are selection of more conventional dolls and play figures some of which are going to be better for younger children and some for rough play. Whatever version you choose, it will undoubtedly be cherished. For a special occasion, how about a little keepsake gift item that doesn't cost the Earth? It's nice to select items which will be treasured for a long time. I like the little Sterling Silver Pendant which comes with an 18 inch chain and a gift box to present it in. It's cute that it has a splash of color on her wings and dress. Her wings are filled with an aqua color and have tiny silver sparkles on top. It's such a cute necklace. Or how about a wonderful Keepsake Watch which a young girl can proudly wear. This would be a perfect present when she's learning or has learned how to tell the time. It has a pretty silver leather strap which you can easily punch more holes into for tiny wrists and prominently features this pixie on the front with large, easy to read numbers. The Jim Shore Figurine (shown further above) appeals to kids and adults alike. Jim Shore has captured her in a wonderful and coy little pose (is she thinking about something that includes making mischief?) where she's kneeling down but glancing up and almost over her shoulder. It's a really cute piece with gorgeous colours and decoration. Best of all it's at a really super low price. 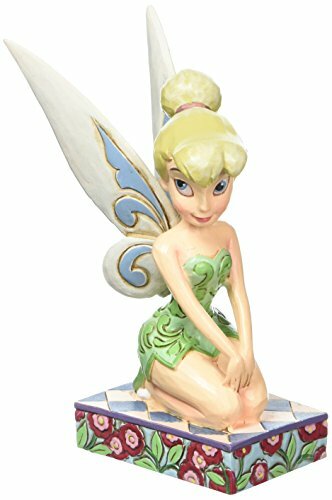 Any fan would be delighted to receive this figurine and display it proudly where she can bestow her pixie dust every day. I'm not going to recommend the typical Disney dressing up costume. My little girl loves dressing up and costumes and I know from experience that you tend to pay a lot of money for the name and yet the costumes are not always that special at all. 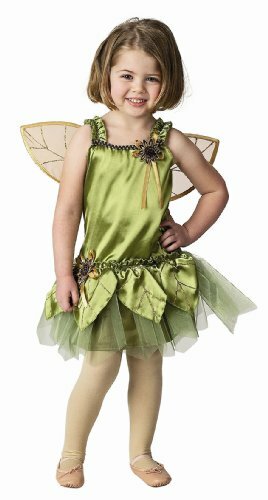 What is special is this amazing garden fairy costume with wings that can easily come on or off. Many people shopping for a quality inspired costume have gone with this outfit instead and you can see from the glowing reviews plus adorable customer photos just how good it is. Traditionally she wears green just like this beautiful fairy costume. It's easy to get any wand to match with the outfit (most little girls already have tons of wands in every color) but not so easy to get a green crown or tiara. Here's a gorgeous green crown on a satin wrapped headband. Just the thing to match with a costume and it even glows in the dark too! Where can all the little toys be tidied and stored? In a books and toy organizer of course! I'm a big fan of anything that helps to keep my daughter's bedroom tidy and when she's got pretty storage, she's much happier to help keep it tidy too. This toy organizer is in a beautiful pastel shade of lilac and features decorative scenes of Tink and her fairy friends amongst the flowers. It is sized for a small child to be able to use it with ease. Play houses and tents are also great fun. My daughter has a pink princess one but I know she'd love a cute tent to play in with her little friends. It's large enough to fit up to 4 small children inside. Perfect for little tea parties and hideaway fun. On a dry day, the tent could be used outside too which makes it more versatile. What a wonderful gift the toddler bed would be for a small child up to the age of about 5. It's in an adorable and sweet shade of lilac and I love that it is low to the ground and has the safety sleep bedrails on either side to stop a young child from falling out. These bedrails can be removed when the child no longer requires them. The frame is made from metal and plastic which makes it super strong, safe and durable. Like most beds, you need to purchase the mattress separately. But what gorgeous sweet dreams are going to be had in this. For small, inexpensive and fun gifts for creative kids, you can't beat coloring, activity and sticker books. My daughter can never have too many and she spends hours coloring fairies like this one as well as princesses. 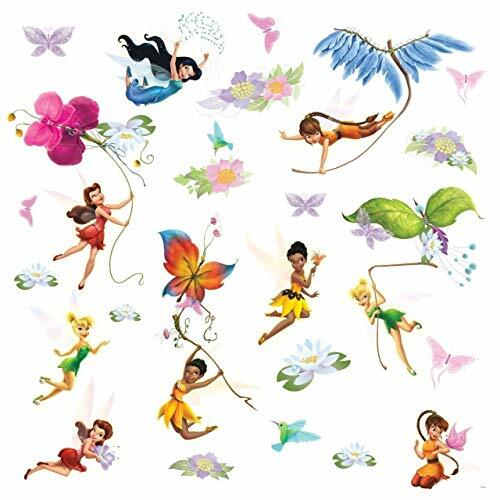 Pixie Dust Magic is a 96 page coloring book packed full of pretty and cute fairy pictures that young girls from as young as 3 or 4 will delight in decorating with pens, pencils, ink stamps, crayons and more. If you want to encourage kids to have some quiet, sitting down time then it's important to give them something to color which will fire their imagination. The Color Wonder version is a mess free way for children to color with 'magic' markers which only produce color on the coloring book and are invisible on any other surface. So perfect if you worry about having pens in your home. The finished images on Crayola Color Wonder products always look lovely because no matter how much kids scribble, color only appears within the lines of the image so their coloring always looks wonderfully neat! For children who love stickers, here's a 48 page coloring and activity book which also contains sparkling stickers of this cutie and her fairy friends. This contains lots of coloring plus easy puzzles like basic connect the dots. I hope you've enjoyed reading my wizzles page today, thanks for your visit. Have fun selecting a great gift. 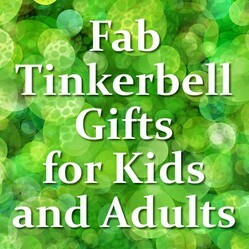 Is this Tinkerbell Gift Page sprinkled with Pixie Dust? Yes, Tinkerbell is adorable. Thank you for stopping by. Tinkerbell is very cute, thank you, Sheila.